This is a horizontal 4-axis machine that was designed for the milling of 3-dimesional foam structures. 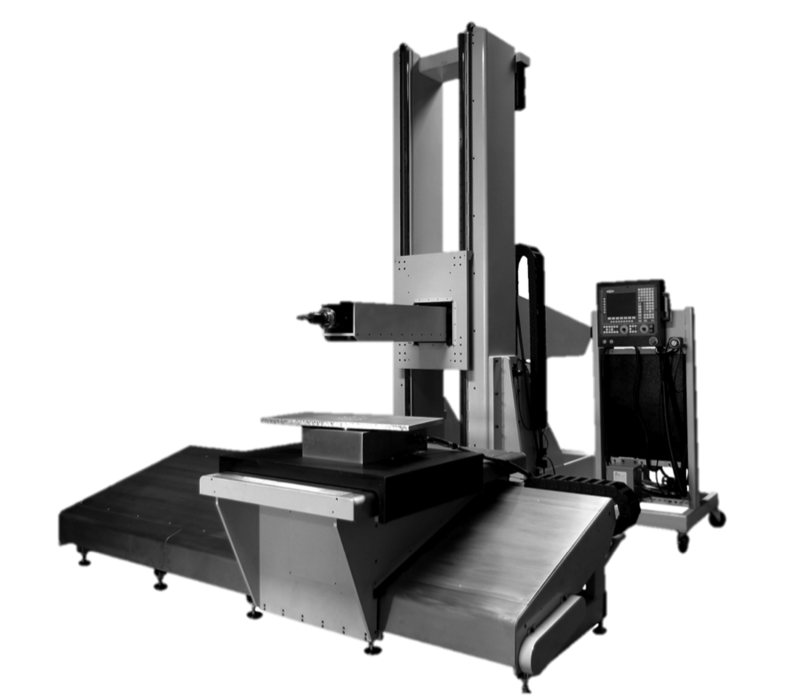 The 8' X-axis travels on a base that rests separately from the spindle structure and has a precision rotary axis driven by our 1068 rotator mounted on top of it. The X-axis also features a manually adjustable Y-axis slide, which allows for an easier setup of stock material. The Spindle structure features a counter-weighted spindle body with a vertically traveling 6.5' Y-axis. The 4.5' spindle axis (Z) telescopes in and out of the traveling Y-axis. Our configuration has proven useful in the industry because of its ability to accurately machine large foam models while maintaining a relatively small footprint within the workspace.